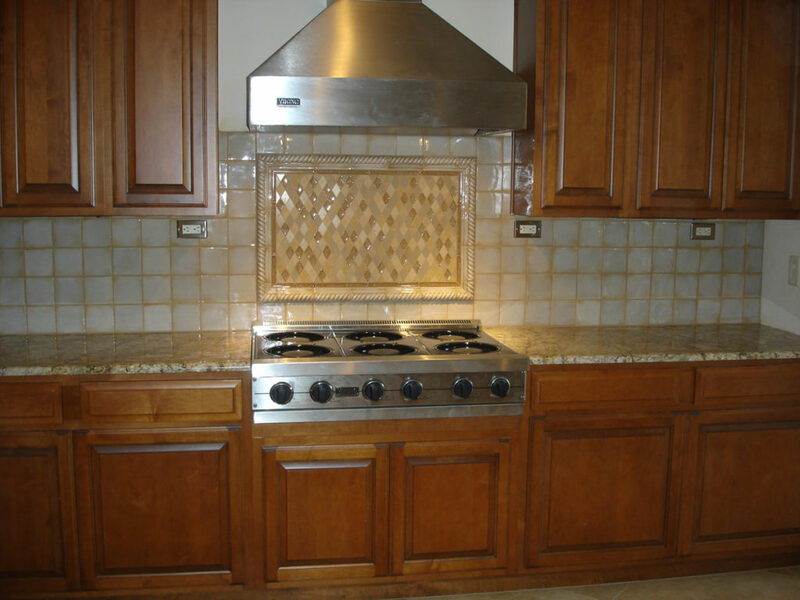 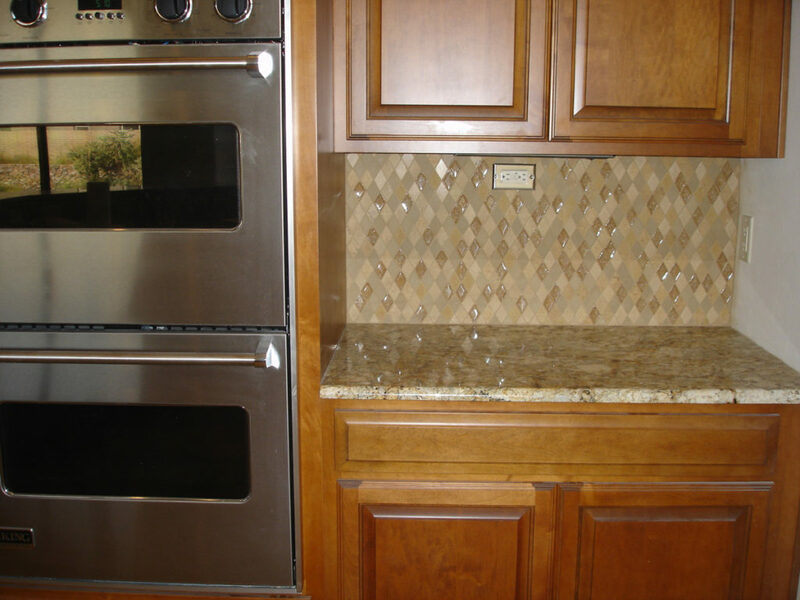 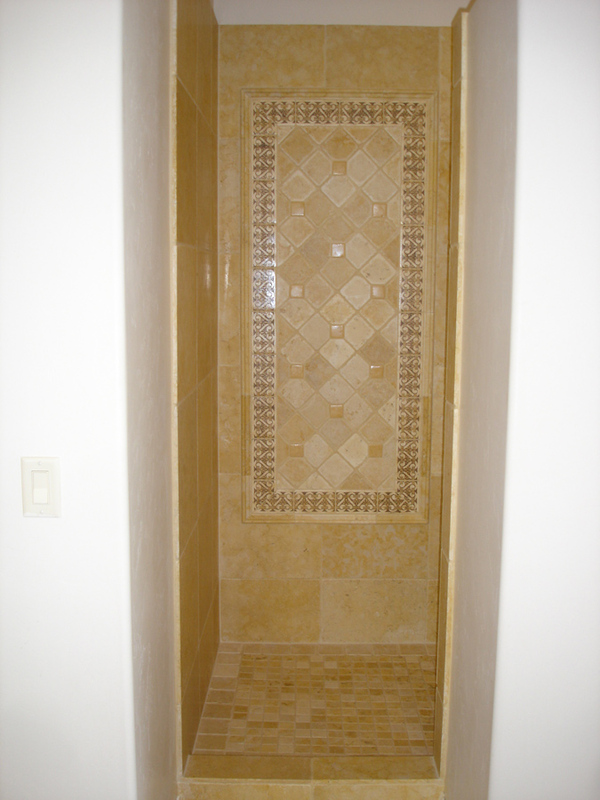 This project was a brand new home in Dove Mountain. 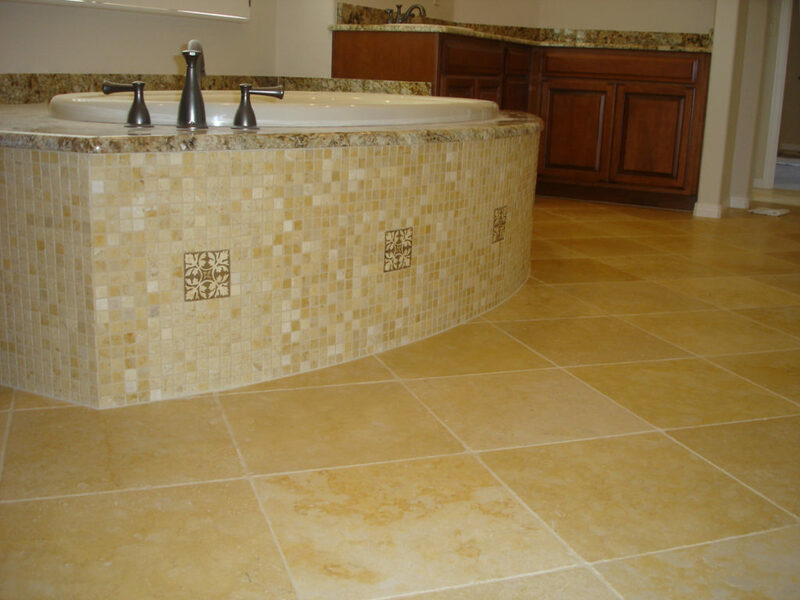 We removed all the builder grade finishes and installed beautiful 24"x24" travertine on the floor, which worked excellent in the open space of the great room. 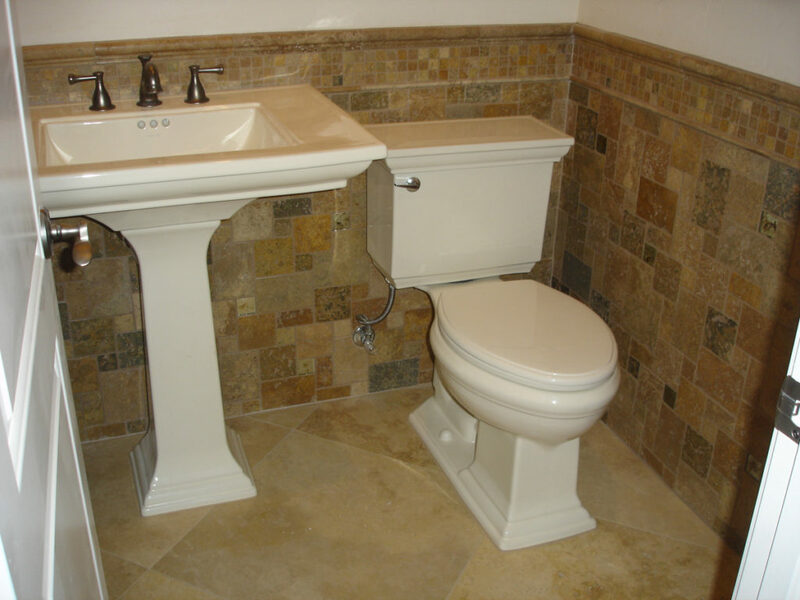 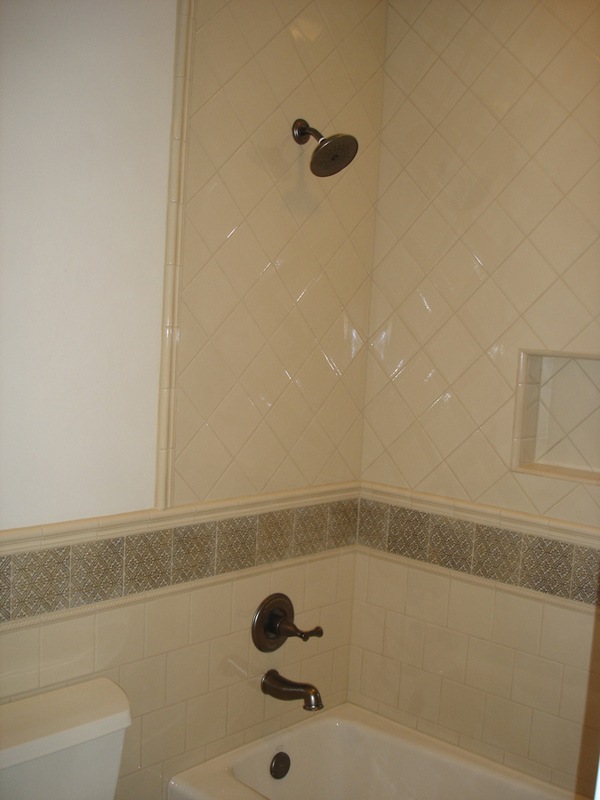 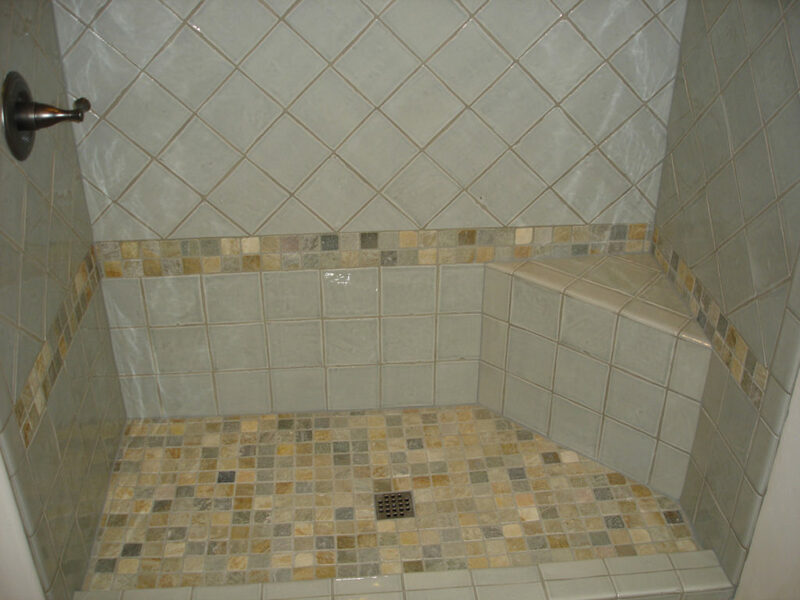 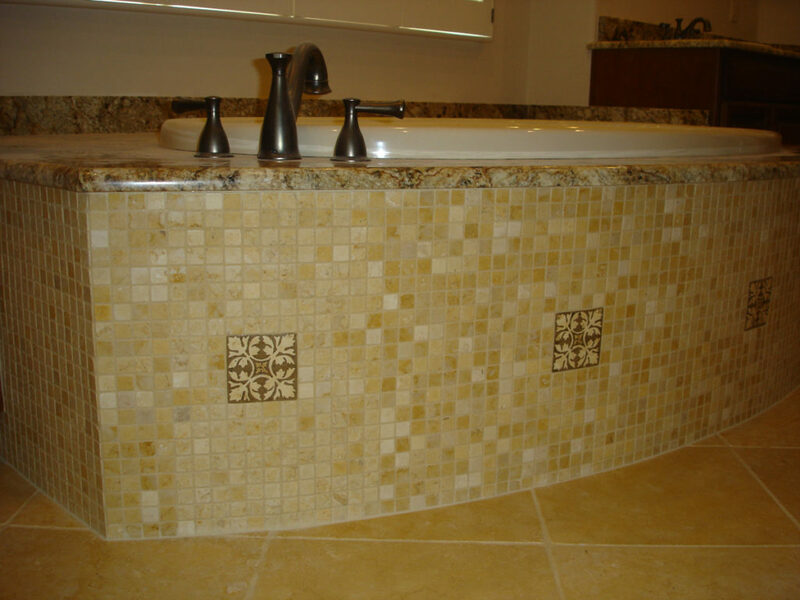 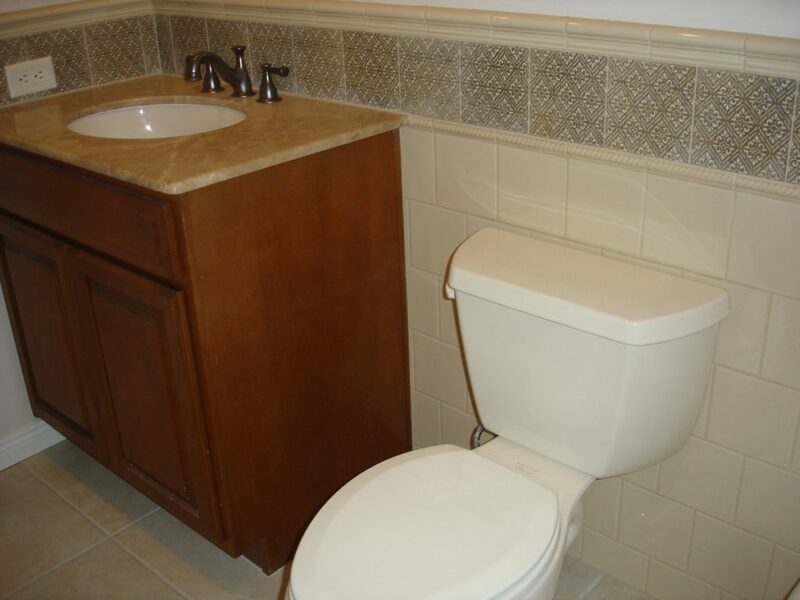 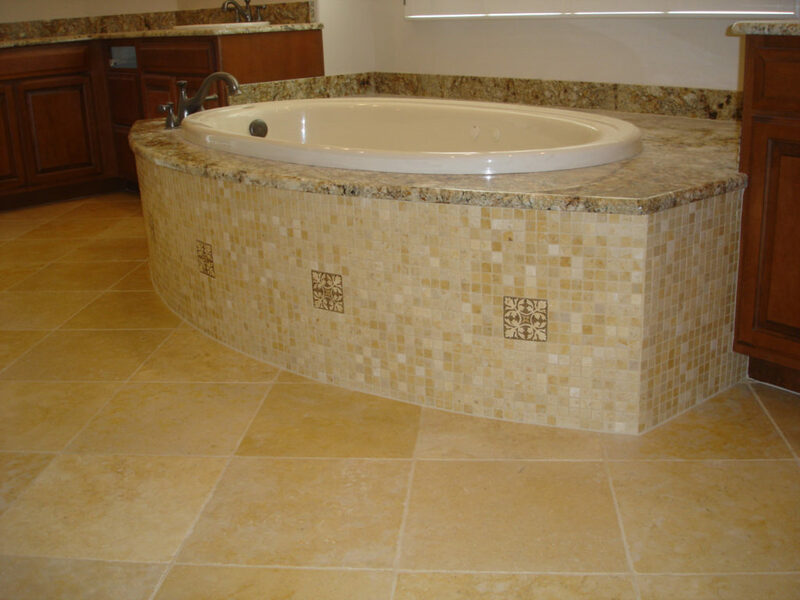 Beautiful artisan tiles were used in the bathroom to create a unique installation adding tremendous value to this new home. 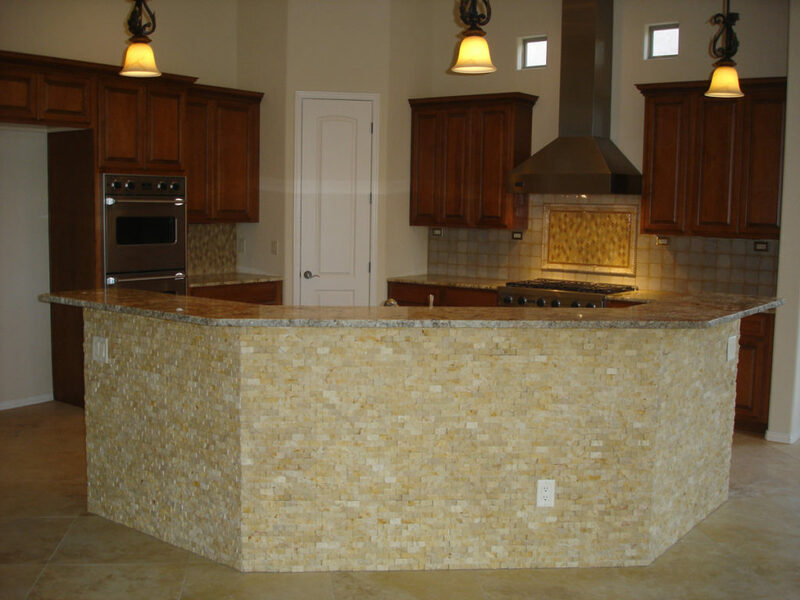 Wainscot in the powder room and stone installation on the face of the kitchen island added that special custom touch that this home deserved.